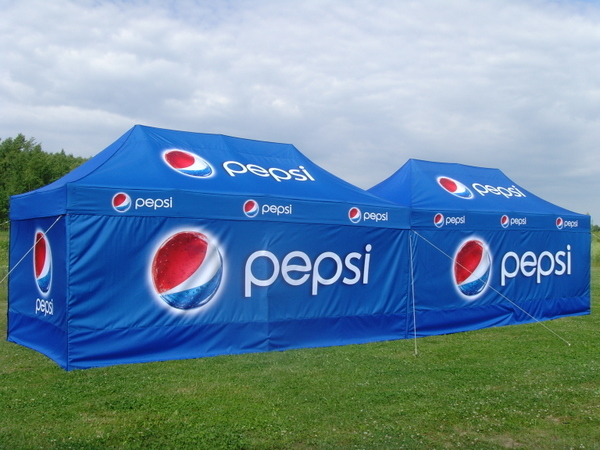 Our Custom printed Gazebos are perfect for promotion and keeping cool in the hot weather. They can easily be set up by two people in minutes. Hexagon shaped aluminium frames are larger in all of their dimensions than traditional square tent frames, providing you with a super strong system that is designed and built to last. 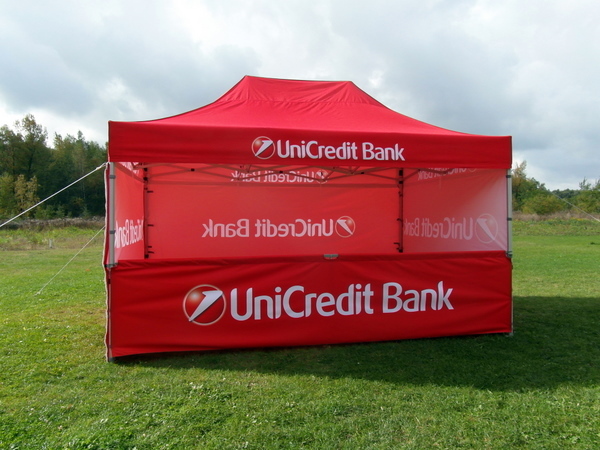 Our hassle-free high-quality UK-made printed gazebo is sure to catch the eyes of potential customers with its rich and vibrant images. 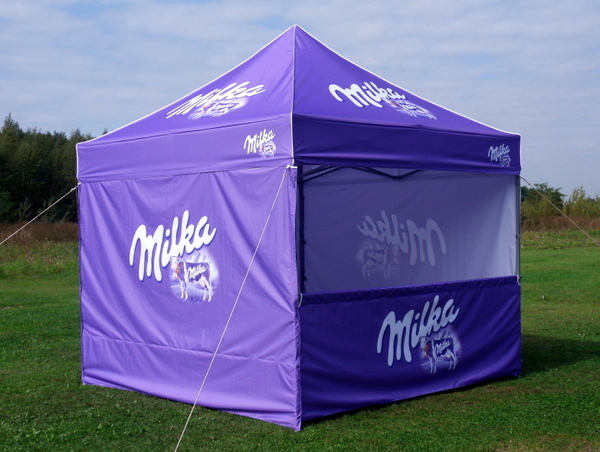 We print on the entire tent using sub-dye technology, which ensures maximum colour richness and purity. Thanks to the wind-safe Velcro fasteners on the sidewalls, your products will always be well-protected from the elements. Our water-proof and fire-retardant tent fabric is made of high-quality polyester (300g/m2). Impregnated twice, UV stabilized and resistant to microorganisms, it is sure to hold up for years. We offer a three-year guarantee on print resistance to UV and a two-year guarantee on our superb aluminium frames. The roof is fitted with an adjustable quick release clamp on the frame, whereby it is optimally tensioned and wrinkle-free. The sidewalls are attached using a 3cm wide Velcro strap to the frame and with a 5cm wide Velcro strap to the roof. The connection of each sidewall is reinforced with a durable and easy-to-use zipper.